Are you looking to put an avocado and a banana to good use? I was, and I crossed my fingers as I mixed the two together that this would work. I could have sworn that months ago I had saved the information, either on my computer or in my journal, for a similar hair mask. Unable to find it, I assumed it would be fine as I have definitely seen both of these ingredients used in other hair masks before. 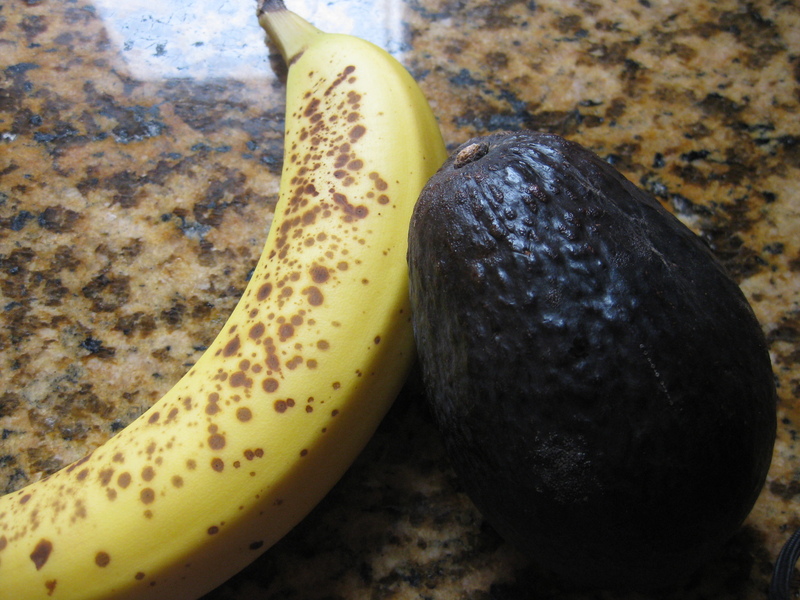 This is as simple as combining a banana and an avocado together in a bowl and mashing. I cut both into smaller pieces before I began mashing. It wasn’t difficult, but next time I think I’ll use my Magic Bullet. Before I began, I took a shower and washed my hair. I used a towel to squeeze excess water out but it was still quite damp. Immediately before applying the hair mask, I used a comb to get any tangles out, and I draped a towel over my shoulders/around my neck, then using my fingers, I combed the mixture through my hair. The last time I used a conditioning hair mask I left it on for 20 minutes, so I did the same with this. After 20 very relaxing minutes, after all, there’s not much you can do with banana and avocado in your hair, I rinsed my hair in the shower and dried as usual. Success! My hair is super soft, and it smells amazing! This entry was posted on June 12, 2013, 1:14 pm and is filed under DIY, DIY Beauty. You can follow any responses to this entry through RSS 2.0. You can leave a response, or trackback from your own site.